I found a great tutorial on how to make pretty fabric chrysanthemums from t-shirts or cotton jersey fabric, courtesy of Natalie Chanin Stewart and excerpted from her Alabama Stitch Book (courtesy of Selvedge). I've had her book on my Amazon wish list for awhile now; I think I must buy it. 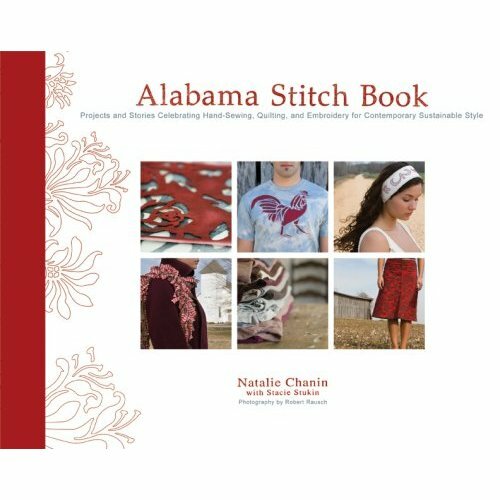 Natalie Chanin was a successful international costume designer who chose to move back to her Alabama roots and highlight the region's specialty folk art. She hires local artisans to handcraft items using their passed-down techniques; to make it all even better they use organic fabrics and often upcycle or recycle old items in the process of creating something new. What I'm most impressed with is that she's making so much of it accessible; for example, in addition to all the gorgeous handcrafted art and fashion her company Alabama Chanin produces, they also offer a kit with everything needed to create a reverse applique Stars & Skull T-shirt -- the most handsome skull "T" I believe I've ever seen.